Since 2015, all LEUSD schools have been equipped with AEDs through a donation by the Lake Elsinore PTSA. Effective January 1, 2016, California has enacted new law regarding AEDs installed in public or private K-12 schools. 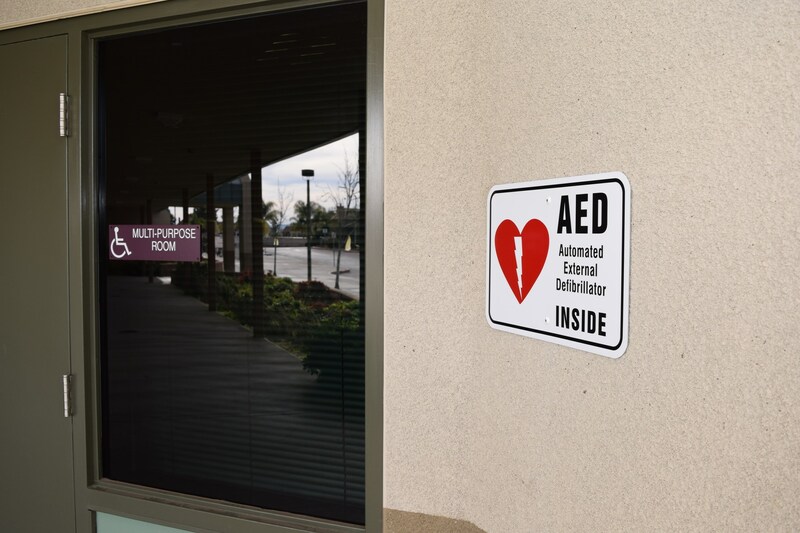 District compliance requirements include inspection and maintenance schedules for AEDs, demonstration opportunities, and signage requirements. Under State law, any person who, in good faith and not for compensation, renders emergency care or treatment by the use of an AED at the scene of an emergency is not liable for any civil damages resulting from any acts or omissions in rendering the emergency care (CA Civil Code §1714.21). AED - Automated External Defibrillator, or "Defibrillator"
A medical device that analyzes the heart’s rhythm. If necessary, it delivers an electrical shock, known as defibrillation, which helps the heart re-establish an effective rhythm. An emergency procedure for providing artificial respiration and blood circulation when normal breathing and circulation have stopped. When the heart stops pumping blood effectively and fails to provide blood flow and oxygen to vital organs including the brain and heart, causing the victim to collapse unconscious. Myth: Shouldn't an AED be used only by trained first responders rather than school personnel with access to an AED? FACT: AEDs were developed for use by the public, or any untrained bystander with access to an AED, when time is of the essence. Machine technology will “talk” a user through every action needed, even in the hands of a first-time user. These machines use automated sensors to evaluate the victim and will talk a responder through the process of either administering a shock or performing CPR. According to the American Red Cross, for each minute defibrillation is delayed, the chance of survival is reduced approximately 10%. Using an AED may help save a life. FACT: An AED will only deliver a shock upon detection of certain abnormal heart rhythms; under certain circumstances, the AED will direct responders to administer CPR only. Unlike some television and film depictions, a victim's arms and legs do not flail and the back does not arch during an AED shock. An AED is not a safety threat; it can't be used to deliberately shock another person if used other than as intended. FACT: As a result of SB 658, California laws have recently been updated to protect any person who, in good faith and not for compensation, renders emergency care or treatment by the use of an AED, so the person won't be liable for any civil damages as a result. Furthermore, this revised section of law does not prohibit a school employee or other person from rendering aid with an AED. Student Accident Insurance/Supplemental Student Ins. 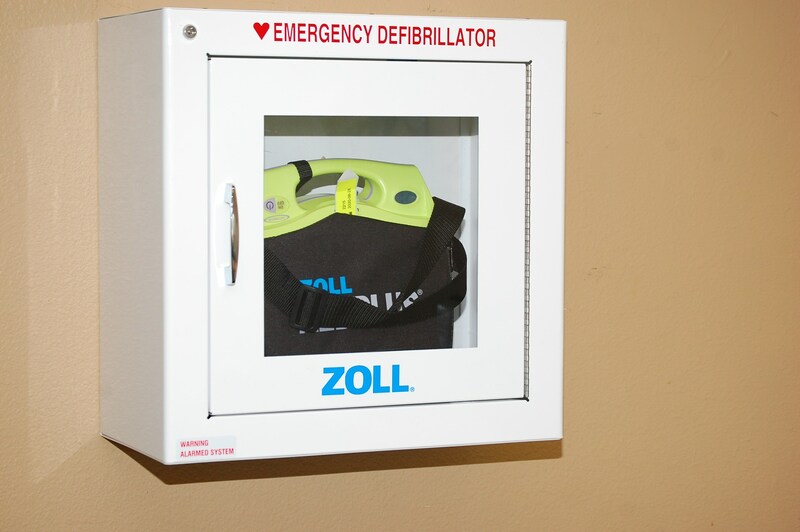 The files below detail ZOLL AED Plus instructions for users, and school & district site locations for all installed AED units.